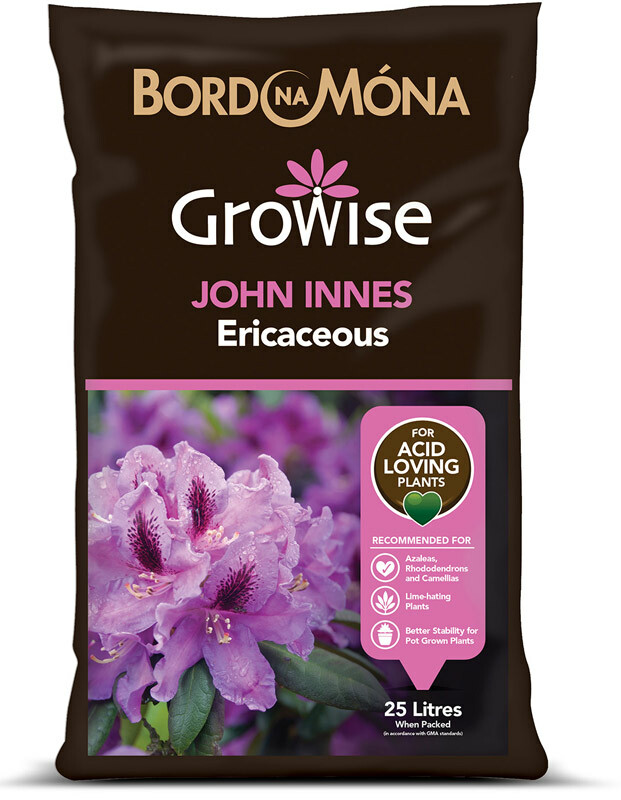 Bord na Móna Growise John Innes Ericaceous is specifically formulated for potting on established ericaceous plants. Bord na Móna Growsie John Innes Ericaceous compost contains enough nutrients for your plants for the first 5-6 weeks in their new setting. From then on, feed them every 7–14 days with a suitable ericaceous fertiliser. Bord na Móna Growise John Innes Ericaceous compost is specially formulated for a wide range of acid loving/ lime-hating ericaceous plants. It contains a rich source of nutrients for well-established plants, and can be used indoors and outdoors in containers and planting out. 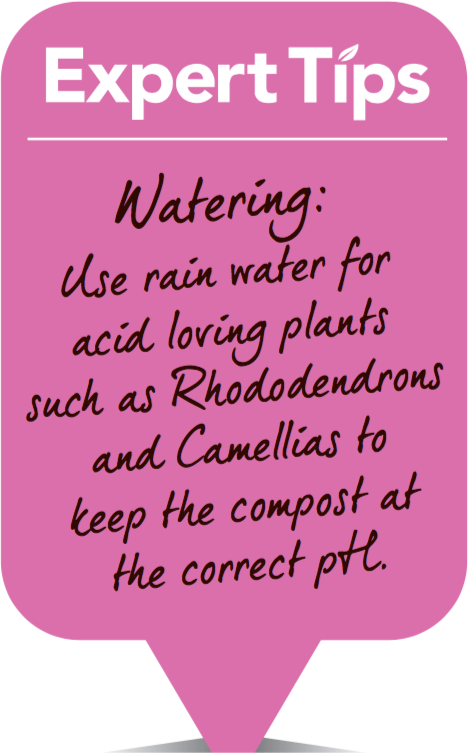 For planting out ericaceous plants in acid soil dig a hole that is a few inches wider than the root ball. Add a thick layer of Bord na Móna Growise John Innes Ericaceous compost all round the hole. Place the plant in the hole, making sure that the plant is at the same level as it was in the pot, i.e. taking care not to bury the stem.